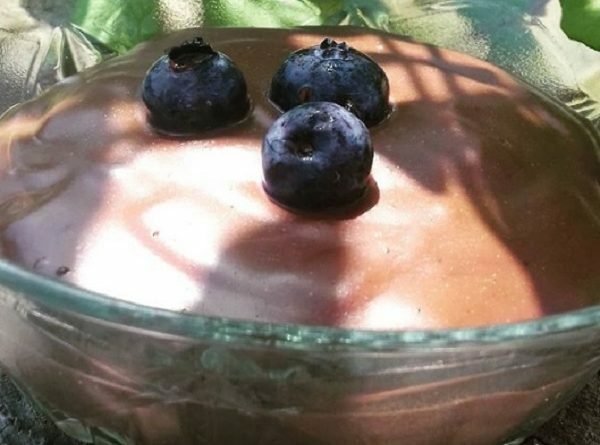 Chia seeds and blueberries make chocolate pudding healthy in this super simple recipe. Your kids will love the way this tastes and only you’ll know how good it is for them and how it is healthy. This recipe is suitable and for people on Paleo, and Low-Carb diet. Add almond milk, chia seeds, and cocoa powder to a mixing bowl. Add maple syrup to sweeten (optional). Cover and refrigerate overnight or at least 3-5 hours (until a pudding consistency is reached).